Invisalign treatment involves straightening your teeth using a series of clear, personalised, removable appliances called aligners. The aligners are virtually invisible; hence their name ‘Invisalign’ meaning most people won’t even notice you're wearing them! High tech, 3D computer graphics technology is combined with the century old science and knowledge of orthodontics. Invisalign aligners are devised to gradually move your teeth to the desired final position advised by your orthodontist. Each aligner is uniquely developed to fit your mouth at each stage of the treatment plan. Could I benefit from Invisalign? To determine if you are suitable for Invisalign treatment you will need to make an appointment with one of our orthodontists. Generally, if you are suitable for braces you will be suitable for Invisalign. If you can benefit from Invisalign, you will have a treatment plan developed and, using advanced computer technology, aligners will be manufactured specifically for your treatment. Depending on your requirements there can be anywhere from 12 to 48 aligners manufactured. Each aligner is worn for approximately two weeks and only taken out to eat, brush, and floss. 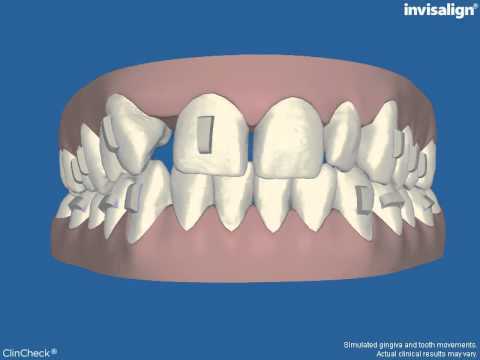 Each new aligner is designed to gradually move your teeth into their correct position. As you replace each aligner with the next, your teeth will begin to move gradually, week-by-week until they are in the desired position. 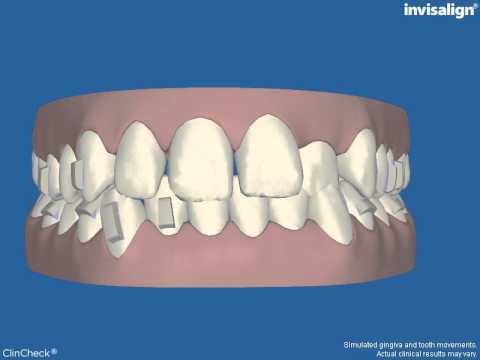 When people think of straightening their teeth, many think of traditional, visible, chunky, silver braces. But with Invisalign, most people won’t even notice you're receiving treatment! If you're self-conscious about how you look, Invisalign might be the solution for you. People with traditional braces tend to feel self-conscious about their smile. With Invisalign you don’t need to hide it! Align Technology have recognised our dedication to treating patients with Invisalign and have awarded us Invisalign Diamond status. Invisalign practitioners are awarded Diamond status for treating 151 Invisalign patients or more per year. Click here to read about "The Invisible Orthodontist". Watch how the 3-D software moves your teeth. 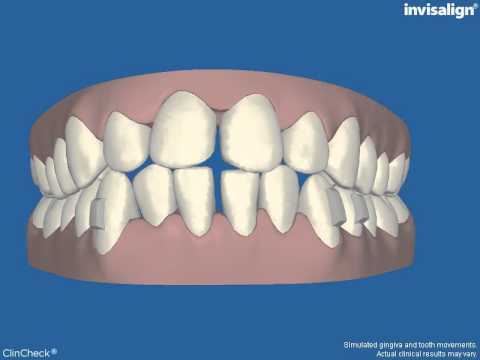 Using state of the art computer software, you are able to see how your teeth will move before treatment starts. Check out the videos below to see some examples.